Mr. Tanimoto who established BAHARI in the CEO of Stylecom has visited overseas to find rare leather since he was in 20’s. 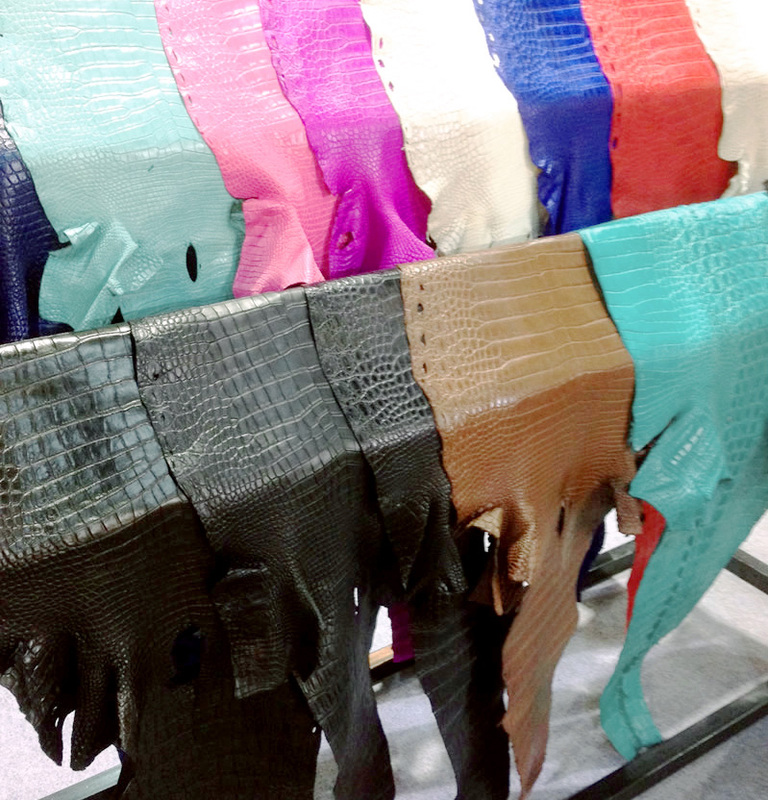 There are many leather distributers in Japan, but rare leather such as reptiles which has an exotic image is scarce of quantities and colors (for instance, pink leather of crocodiles). The reason why is that the numbers of Japanese manufacturing have significantly decreased due to howling out, many of them have shifted to China, also the numbers of lot for each item has been smaller and it has been risky for them to procure rare leather. Mr. Tanimoto has traveled around the world many times to find the excited and rare leather. He has met many kinds of leather, for example, the leather with multiple colors, the leather with unexpected objects, and the leather which probably many Japanese suppliers have never seen. Especially, when he found the very rare leather which had been utilized for the Japanese sword sheath as the important cultural property, he could not help shivering. I will never forget how I was moved and excited. 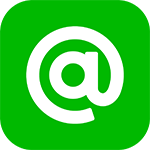 This idea has become the enterprise policy. 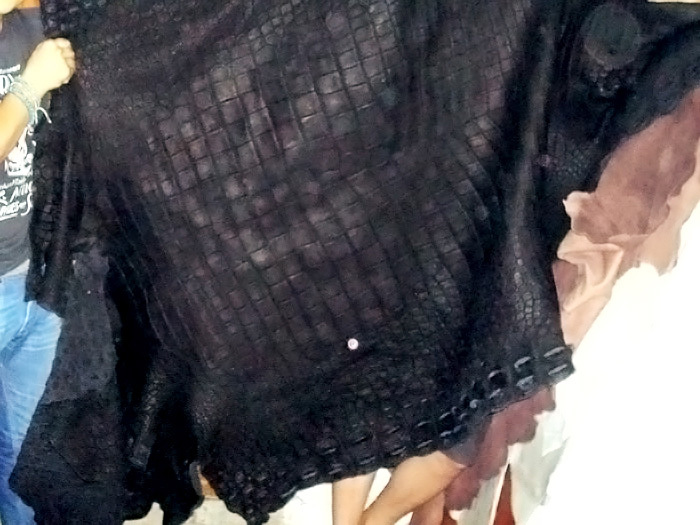 BAHARI is born from not only my idea that I love sea, but my experiences that I have understood leather deeply as well. I would like to tell anybody how wonderful the genuine leather is! Let me share the some pictures in purchasing leather with you. First of all, cowhide which is probably recognized as a standard leather. 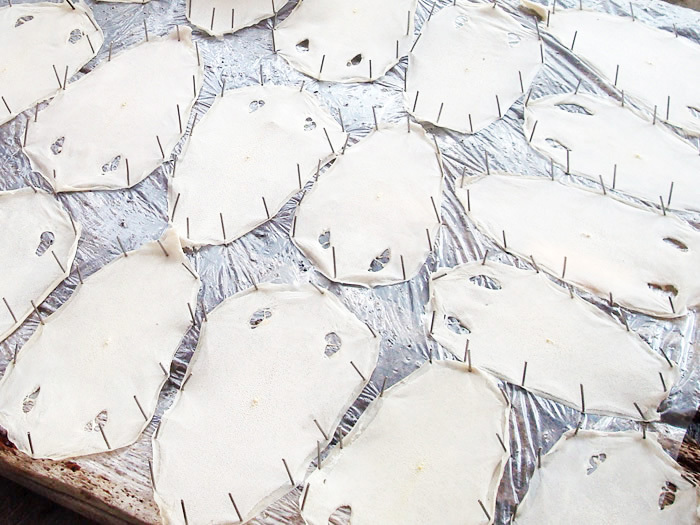 This is the factory which produces leather for shoes in leading sports manufactures and luxury brand bags. Many factories with high-quality and cutting-edge are crowded here. 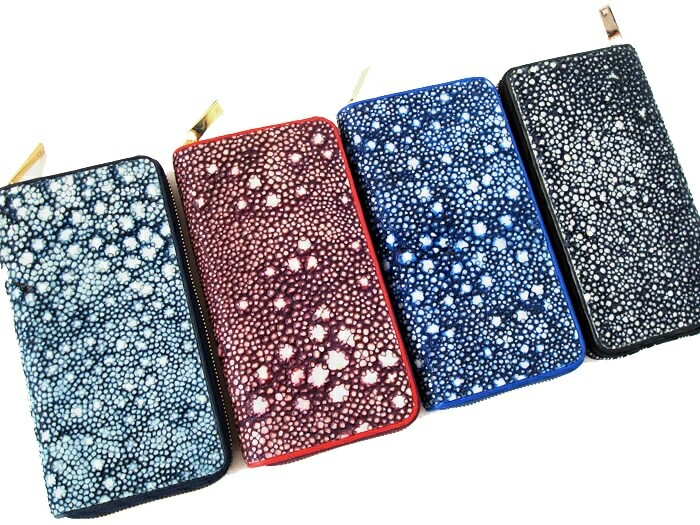 Let me introduce this crocodile leather with multiple colors which are rare in Japan, next. This comes from a hidden scenic location in Indonesia. 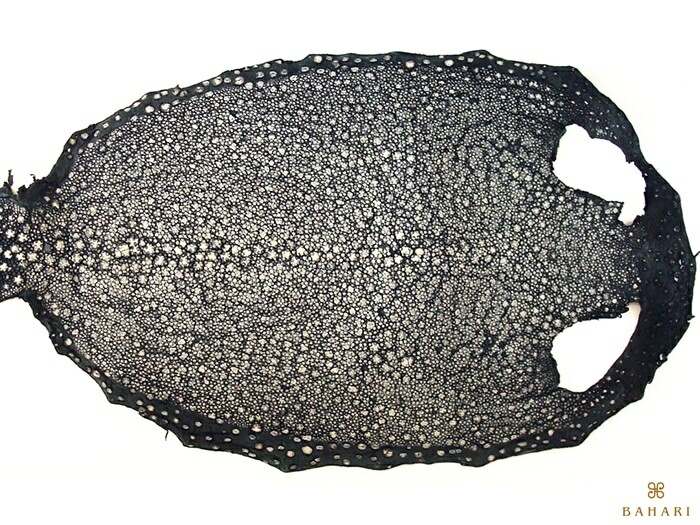 This leather comes from the crocodile which is much larger than human beings. It should be rarely seen, and I was surprised when I saw it. I feel that it should be cheaper even if it marks high price, because I can’t image how much they have been fed. 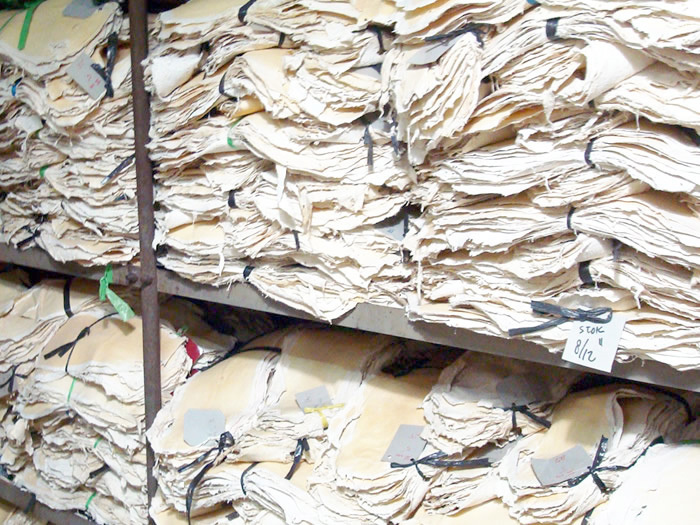 This leather would travel to Singapore and have business among traders. This is the leg leather of ostriches, called ostrich leg. 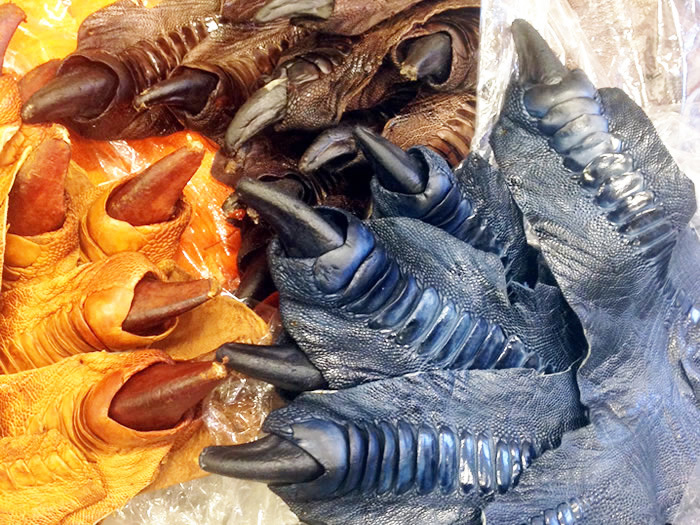 The point is that they still have claws, because it is very rare in Japan.I’m pretty sure that it is the best of exotic leather. the hidden scenic location in Indonesia. Personally, I like it the best. Galusha is as known as “sea jewel”. A long time ago, it was utilized as hilts of Japanese swords. It may have been a fashionable leather since Samurai lived. It has toughness and silky texture, but the best thing of all is glossiness on the surface!! It seems that many people in Japan seldom know it, but it is very popular in Europe, especially in France. It has been utilized for grated wasabi and a part of Kendo armor, Do. 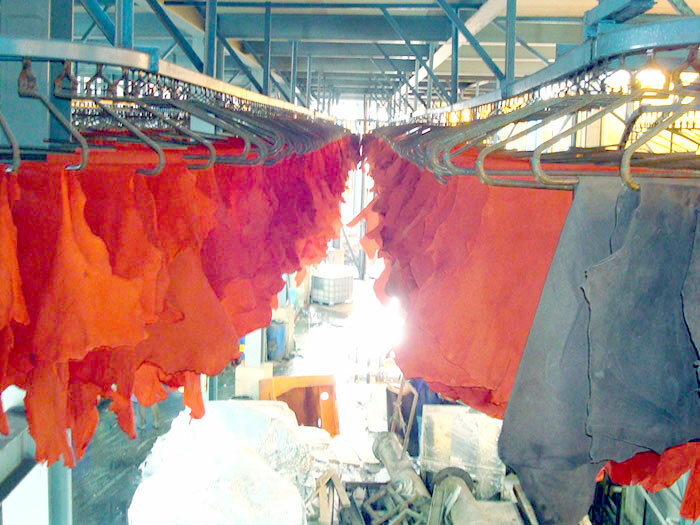 It is going to be dried after salted, and colored in tanning processing. The location in Indonesia was a really significant place for me because there were numerous stingray. Finally, it is the very leather which I felt a shiver. It should not be exaggerate if I’m going to say “legend”. This stingray as I introduced, is in the group of “Dasyatis akajei”, and it is recognized “porcupine ray”. In Japan, it is especially called “梅花皮Kairagi”. According to Japanese history, it had been utilized for hilts of Japanese swords since Nanbokucho era in the 14th century. 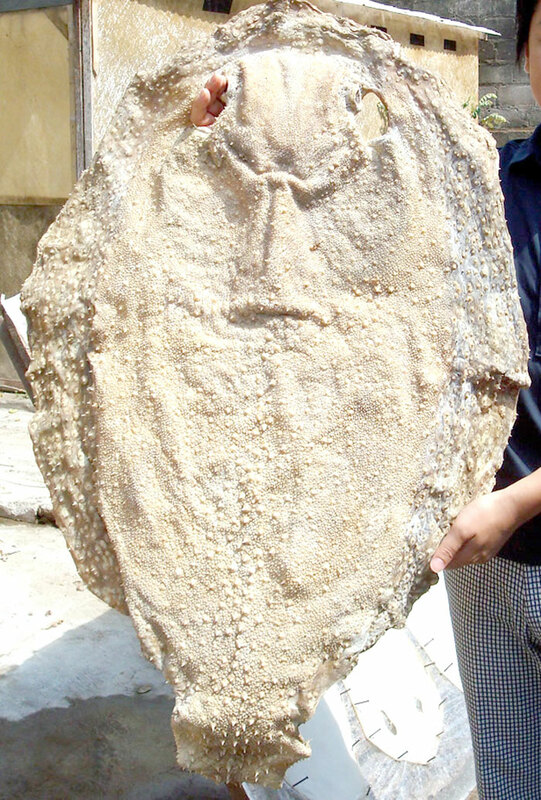 There are spine-like surface asperities, it is common for Dasyatis akajei has these surface asperities on the back, but this Kairagi has these all around the surface. It looks like several stars if it is processed with flat cut, probably people in the past respected it “such a lovely plum flower leather” (梅means “plum”, 花means ”flower” and 皮means “skin”) they may have called it 梅花皮Kairagi. In Asia, it is called “Star Stingray” because it looks like stars. It took about 2 years for Mr. Tanimoto to discover the legend leather. He finally reached the factory which would catch. This rare leather is caught in only the hidden scenic location in South East Asia. It was called “King of Stingray” there, and it was very precious and honorable. It is very precious because there may be 1 out of 1000 of catching stingray or 1 out of total catching stingray in a month. In the past, the common Dasyatis akajei was utilized for hilts and sheath, but Kairagi was the very rare and utilized only for dedication as a special occasion. It should be recognized as the leather for national treasure class. I succeeded to gain the leather even it is very limited. The wallet which is made of this leather is splendid, elegant, powerful, and I can even feel grace. 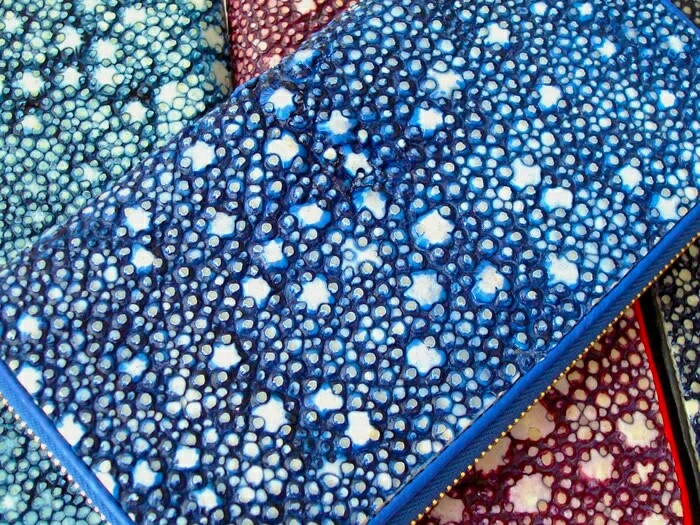 This wallet may be made of the most luxurious leather in the world. This is special more than crocodiles, ostriches or pythons. Everyone who just holds of this wallet are overwhelmed by the aura of this leather possessing. This is it, the leather which is recognized as “King”. Everyone must be overwhelmed with holding this wallet. I have met several interesting leather, but the Kairagi is the best and I will never find the rare leather more than it afterwards. Because of rarity, we can procure only some of them per year by our own channel. ? 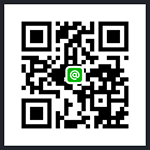 Our brand name BAHARI means “sea”. It should not be exaggerated if we recognize it as “the paramount leather in the sea”. Copyright © BAHARI All right reserved.